One of my favorite TV shows is CLAWS. If you are not watching, you must catch up on this dark yet humorous series. 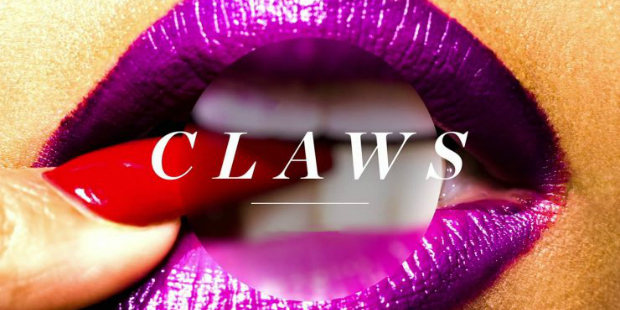 Claws is a midnight-dark, wickedly funny meditation on female badness set in a South Florida nail salon. At the Nail Artisan of Manatee County salon in Central Florida, five diverse, hardworking manicurists try to make ends meet in a staid economy while managing perilous personal lives awash in drama. Amidst all the silk wraps, pedicures and polish treatments, salon owner Desna, who lives with and cares for her mentally ill twin brother, leads a staff that includes best friend Jennifer, now sober and raising two kids from a previous relationship; enigmatic Ann, who provides security for the salon; mild-mannered preppy and ex-convict Polly; and Virginia, who becomes easily bored and impatient with her job. Also hanging around the salon are shady redneck Roller; ambulance coach Bryce, Jennifer's husband who is also newly sober; and Uncle Daddy, a dangerous, deeply Catholic and actively bisexual crime boss. CLAWS airs on Sunday nights on TNT. CLAWS is in its second season and has only gotten better.